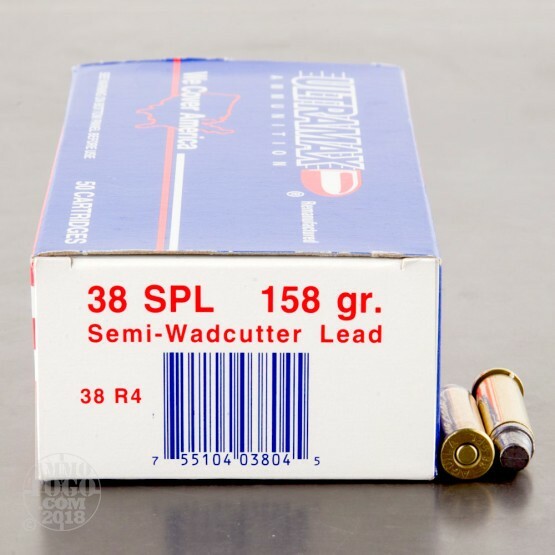 An economical target load suited to high volume outdoor use, this .38 Special ammunition from Ultramax delivers nice clean holes in paper targets with a semi-wadcutter bullet. 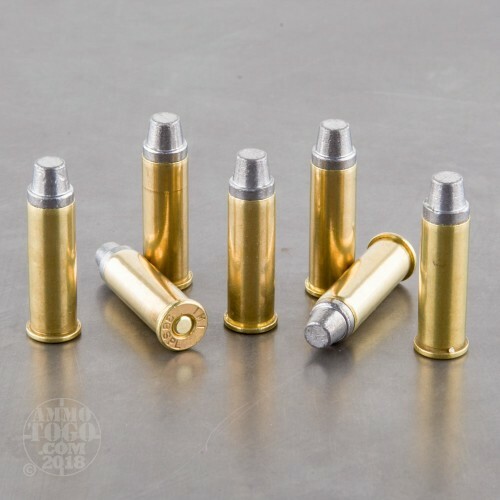 These remanufactured cartridges achieve substantial cost savings with once-fired brass that has been professionally cleaned, polished, and reloaded with fresh bullets, primers, and propellant. 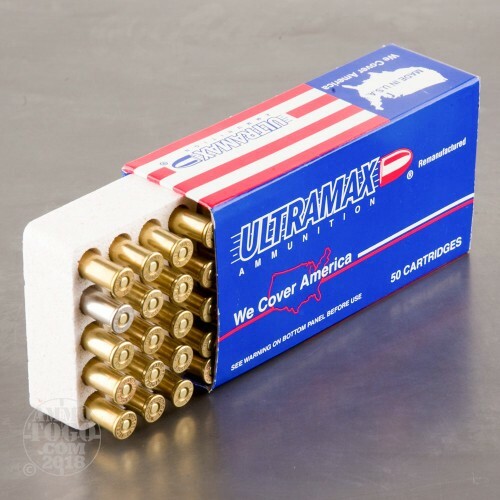 This ammo is made in the USA using non-corrosive components. 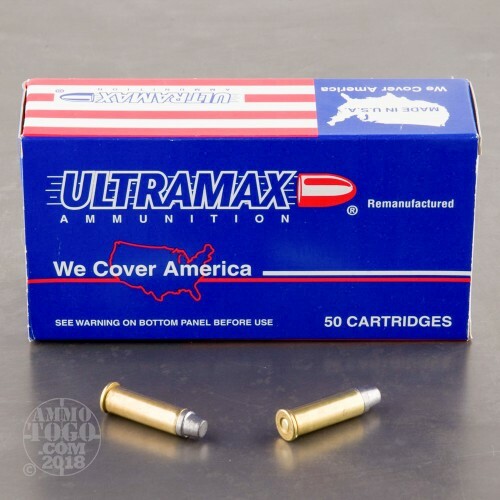 BE ADVISED – This is remanufactured ammunition. As such, it could be more likely to experience ruptures, squibs, failures, and other functional troubles. In doing so, it could damage your firearm, and it could result in bodily injury or death. Consult your firearm owner’s manual to determine whether remanufactured ammunition is appropriate for use in your particular firearm. Never provide remanufactured ammunition to fellow shooters without first informing them that such is remanufactured ammunition.